Tēnā Koutou, Malo e Lelei, Talofa Lava, Bula Vinaka, Fakaalofa Lahi Atu, Ciao, Johm Riab Sua, Néih hóu, Selamat pagi, Konnichiwa, Hola, Kia Orana, and Greetings. 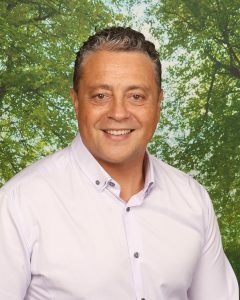 Nau mai, haere mai, I’m Riki Teteina, the principal of Newton Central School, and I’d like to welcome you to our beautiful oasis in the heart of the city, one of Auckland City’s best kept secrets. Our inner-city location, diverse and active community, and stimulating environment is what makes us unique. You are not only enrolling your child into a school, you are enrolling your whole family (whānau) into a community. We value strong partnerships between you, your children, and the teachers and staff of the school. We encourage you to take an active role in your child’s education, whether that is helping out in the classroom, participating in field trips that take advantage of our inner-city location, or getting regular updates of your child’s progress by meeting informally with their class teacher before and after school. We realise that many parents have to juggle work and family commitments. We help out by providing before and after school care for our community members. It really does take a village to raise a child! Here at Newton Central, diversity is a huge part of who we are, and we welcome children, parents and caregivers from all backgrounds. Your child will be part of over 30 nationalities, each valued, supported and celebrated: - hence our school motto: Celebrating difference, diversity and success! Newton Central School is also passionate in upholding the articles contained in the Māori Version of the Treaty of Waitangi. We acknowledge Māori as the original people of Aotearoa, New Zealand as tangāta whenua. We were the first school in New Zealand to develop a co-governance structure, ensuring Māori representation on the Board of Trustees. Such a commitment means your child will be actively involved in developing an understanding of tikanga māori (customs), te reo (Māori Language), waiata (songs) and and karakia (prayer). Every child will get to experience being on a Mārae by the time they leave our school. Here at Newton Central, we grow our tamariki to become critical and creative lifelong learners and positive participants in their communities. We do this by providing distinct educational programmes. In Auraki, our English medium programme, students follow the New Zealand Curriculum. Your child will be exposed to a broad range of learning opportunities in which they develop key competencies in thinking; relating to others; using language, symbols and texts; managing self; and participating and contributing. Te Uru Karaka is a special programme in which your child is fully immersed in te reo Māori for the full day. As a parent, you must be a fluent te reo speaker, and your child will already have had extensive exposure to te reo, prior to enrolling at our school. Whānau Awahou is a special programme available if you and your child would like to begin making a strong commitment to learning te aeo Māori throughout your time at Newton Central School. By the end of your 6 years at Newton, with hard work and determination, we believe that both you, and your child can become bi-literate, bi-lingual and bi-cultural – confidently able to walk confidently in both the Māori and English worlds. We are pleased to be able to welcome International Students to our school. This programme is available for students from overseas who have an International Student Visa. Our school is a perfect place for your child to learn about the culture of New Zealand by participating in our Auraki, English medium programme. There are short and long term programmes available. While we are located in the heart of the city, we are proud of our community created ngahere. Planted over 20 years ago, our native forest is highly popular amongst native birds and students alike. Our Positive Behaviour 4 Learning programme is based on our school values of truth, excellence, respect and aroha. Regular lessons are provided around the concepts of our values and students learn skills in developing relationships, resolving conflicts and taking responsibility for their actions. There are many opportunities for your child to develop positive relationships with students older and younger than them. Students interact with other classes through buddy reading, performances, student council initiated activities and throughout the playground. Our Year 6 students act as role models and take responsibility for supporting younger students during play times. Special Needs Education involves meeting the learning needs of all children to assist their progress and development. It is an area of priority at our school and a large amount of resources are allocated to meeting children's individual needs. The school is committed to providing inclusive education for all children and as such teachers can be expected to have children with significant needs in their room. Nationalities: African, Asian, Australian, British, Irish, Chinese, Cook Island Maori, Dutch, European, Fijian, Filipino, German, Greek, Indian, Japanese, Korean, Latin American, Niuean, NZ European, NZ Māori, Samoan, Tokelauan and Vietnamese.